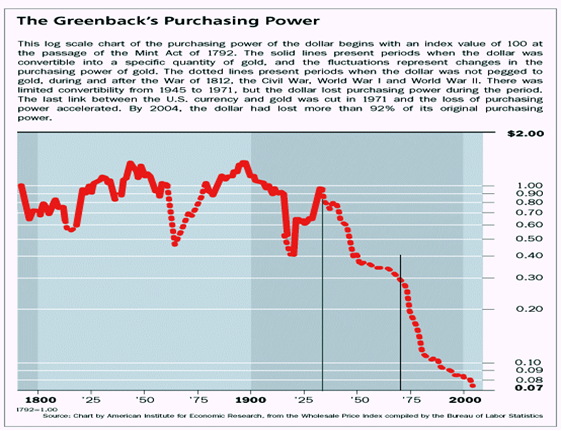 Purchasing Power: Past, Present, Future- Part 3, by L.M. As expected, Ms. Yellen smiled last week, announcing no change to the Fed’s extraordinary policies. For the last eight years, she has been aiding and abetting the largest theft in history. Thanks to ZIRP (zero-interest-rate policy) and QE (quantitative easing), every year, about $300 billion is transferred from largely middle-class savers to largely better-off speculators, financial asset owners, and the biggest borrowers during that period– corporations and the government. The financial press, nevertheless, finds something vaguely heroic about enabling the grandest larceny ever. Meanwhile, in the real world, Jim Clifton, head of the Gallup poll group, sees a horror show. Over the glorious years in which the Bernanke-Yellen team has managed the economy, he notes, the percentage of Americans who reply to his polls saying they are in the middle or upper-middle classes has fallen from 61% to 51%. What the media is missing is that these 25 million people are invisible in the widely reported 4.9% official U.S. unemployment rate. Let’s say someone has a good middle-class job that pays $65,000 a year. That job goes away in a changing, disrupted world, and his new full-time job pays $14 per hour, or about $28,000 a year. That devastated American remains counted as “full-time employed” because he still has full-time work, although with drastically reduced pay and benefits. 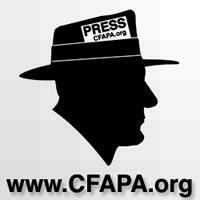 He has fallen out of the middle class and is invisible in current reporting. These “invisible Americans,” as Clifton calls them, pay a “disastrous” emotional toll. They see themselves falling behind. Whom do they blame? Themselves? Mexicans? Obama? One person they don’t blame is the one who has done them the most harm– Janet Yellen. You can adopt any of the typical escape hatches we devise in our mind to protect our world view. That does not change the trends, and that does not change the proof. The government is purposely lying and stealing. Why? What is the truth? Why would the government lie? Is that even legal? Why? The possible reasons are endless. From harmless attempts to make people feel good about the economy. Enabling positive feelings about tomorrow. Encouraging people to participate in retail buying. Or is there evil intent? Keeping the bottom 95% believing a lie while accumulation at the 5% level continues without interruptions from the “lower classes” until the 95% become true serfs! Wow! That kind of stinks! Now we have no idea if they are telling the truth. Just like the CPI, real inflation, rising median wages, unemployment, and on and on. Maybe Casey was simply telling us what is going to happen in the future, “We’ll know our disinformation program is complete when everything the American public believes is false.”. The noose is indeed tighter! I began college in 10th grade, studying macroeconomics for almost three years. I graduated high school in 11th grade and moved to San Diego. There I pursued the CA government state system, knowing that CA provided assistance for the handicapped to succeed. After numerous tests and interviews, CA declared that I was handicapped, granting benefits that provided 100% college tuition. Outstanding, I got a 100% scholarship. I enrolled at a private college majoring in computer science and minoring in macroeconomics. Today, everything that I learned concerning macroeconomics means nothing. There are no more rules of proper conduct. Banking and commodity institutions are making their own rules, leaving doubt as to the proper value of all assets. I have never seen anything resembling this permitted outlaw behavior that our regulatory bodies approve by omission. It is far worse than you can possibly imagine. According to a “Top Bank Fraud Expert”, all of the Big Banks’ Profits come from fraud. Indeed, the big banks manipulate every single market … and routinely engage in criminal acts. Who cares? Well, experts say that we have to prosecute fraud or else the economy won’t ever really recover and stabilize. “The few who understand the system will either be so interested in its profits or be so dependent upon its favours that there will be no opposition from that class, while on the other hand, the great body of people, mentally incapable of comprehending the tremendous advantage that capital derives from the system, will bear its burdens without complaint, and perhaps without even suspecting that the system is inimical or harmful to their interests.” – The Rothschild brothers of London writing to associates in New York, 1863. Wow! What an overbearing, condescending jerk! Why is that I have not met one person that can answer the question, “What is money?”. We have the answer that is constantly pushed by all forms of media– the US Dollar (USD). Really? I do believe that the USD has been declared as “Legal Tender”. Look at the federal reserve owned dollar. Do you see the contractual obligation that the USD $1 promises? It says, “This Note is LEGAL TENDER for ALL debts public and private”. (emphasis added) It is legal tender, currency. It is useful to settle debts until the federal reserve declares that the private currency system is going to shift to cashless. Soon the federal reserve note will no longer be accepted as LEGAL TENDER for ALL debts public and private! It may take a number of hops from one USD currency to a new one. But it is heading to cashless. It is a private currency system! They can do whatever they want, and the politicians do not have anything to say! They are useless, powerless! The key point to take away from the above chart is the spike in the late twenties. The newly created federal reserve allowed credit to flow freely, creating the sky rocketing roaring twenties. The spectacular crash of 1929 followed five years of reckless credit expansion by the federal reserve system under the Coolidge administration. In 1924, after a sharp decline in business, the Reserve banks suddenly created some $500 million in new credit, which led to a bank credit expansion of over $4 billion in less than one year. After an attempt to stabilize the fast climb in commodities in the first half of 1928, the Federal Reserve System finally abandoned its easy-money policy at the beginning of 1929. It sold government securities, halting the bank credit expansion. It raised its discount rate to 6 percent in August 1929. Regular interest rates rose to 8 percent, commercial paper rates rose to 6 percent, and call rates rose to the panic figures of 15 percent and 20 percent. In June 1929, business activity began to slow. Commodity prices began their retreat in July. Of course, that crashed the markets since all markets run with open and free flowing credit. The members of the federal reserve– private individuals from around the world– swooped in and bought millions of shares for pennies on the dollar. It was a huge transfer of wealth. Like I said, the federal reserve decides how much currency to create out of nothing and the value or purchasing power of that currency. This brings us to our conclusion. You own a weapon for protection. You have fire insurance for your home. You have renters insurance for your rental. You have car insurance for your automobile and health insurance for your health. You have life insurance to pay for dragging your carcass away (and hopefully some left over for your loved ones). You have these policies to protect you from the unknown. There is now a huge unknown in the world of currency. Using money to insure against currency unknowns seems prudent. That is why you have tangibles like gold and silver. Of course, there are others. We are focusing on silver. The correct question is why? Early 2000s silver was $3 per ounce. Today, silver is $19+ today per ounce. That is roughly a 3x increase in value. This nearly matches the rise in currency supply. Gold is the same. Early 2000s gold was roughly $300-$400. Now it hovers around $1,300 per ounce. Once again, that’s approximately a 3x increase. As you can see in the chart below, from roughly 2011 to recent years, the currency supply increased nearly three times. You see silver and gold (and some other commodities) reveal the skullduggery of currency manipulators, meaning that they kept pace with inflation. I do not see any evidence in the Bible that dissuades us from being prepared for the outcomes of plans hatched by evil men and women and permitted by God, as all the world serves Him. Quite frankly, it seems wise to have some food to overcome any disruption in the food supply chain. It seems wise to hold on to money assets that will overcome any currency disruptions. The future of the U.S. currency is tenuous at best. I see God working, allowing the world to go cashless with likely huge devaluations in currency purchasing power and fees. There is not a thing you can do about it, once the currency sits in digits. Much of the world is experiencing huge devaluations in purchasing power right now. Therein rests one of the true benefits to currency insurance. Proverbs 22:3 (KJV) – A prudent man foreseeth the evil, and hideth himself: but the simple pass on, and are punished. William McChesney Martin, Jr. was chairman of the Board of Governors and the Federal Open Market Committee from April 1951 until January 1970. Martin, who described inflation as “a thief in the night,” believed that price stability should be an overriding objective of the central bank (Board of Governors 1955). William McChesney Martin, during the 1950s, was head of the federal reserve and considered any inflation to be theft. Now we have a federal reserve stated goal of 2% inflation as a staple of economic progress. I say that 2% deflation per year may be better to deal with!